Douglas J. Penning is a native of South Dakota. He graduated from Dallas Institute of Funeral Service, Dallas, TX and has been a mortician since 1986, with licenses in Minnesota, Wisconsin, Iowa and South Dakota. Douglas has also become a Certified Crematory Operator (CCO), a designation from the National Funeral Directors Association (NFDA). The NFDA Certified Crematory Operator Program is a voluntary certification program that helps funeral directors better serve the needs of families that desire cremation. He is active in civic and fraternal organizations. Previously employed as a mortician in Sioux Falls, SD and Faribault, MN, he moved to Winona in July, 2001 and became a business partner with Brian Junker in January 2002. 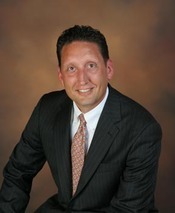 In June 2010, Doug became sole owner of Fawcett Junker Funeral Home. In June of 2018 with the transition of Jim Abbott to the next part of his career, came the advancement of Doug to owner and President of the Abbott Funeral Home and Crematory. James E. Abbott was born in Minneapolis, lived in St. Paul until the age of seven when the family moved to Wabasha. He is a graduate of Wabasha High School and a 1975 graduate of the College of St. Thomas, receiving a BA degree in business administration. He later graduated from the University of Minnesota in 1978, receiving a BS degree in mortuary science. He worked at the Clasen-Jordan Mortuary in Austin, Minnesota and the Adams Funeral Home in Adams, Minnesota, involved in all aspects of the business, from 1978 until moving to Wabasha in 1989 and purchasing his father’s business. Jim is active in his church, serving on the Parish Council and ushering. He is a past board member of St. Elizabeth’s Medical Center in Wabasha. He is active in civic affairs, having served as a charter member and past president of the Wabasha Economic Development Authority and currently a member of the city street commission and long range planning committee. He also serves on the First State Bank Board of Wabasha. He is a member and a Paul Harris Fellow of the Wabasha Rotary Club and had served as past president. He also is a member of the Kellogg Lions Club. Away from work, Jim enjoys golfing and listening to music. He and his wife, Claire, have three children, Riley, Hallie (Dan) Patterson, and Jillian and two grandchildren, Henry and Ivy Patterson and Magnus Jevne. Carrie is a graduate of the University of Minnesota with a bachelor degree in Mortuary Science (1990). She also earned a Master of International Management from the University of St. Thomas (2005). Carrie considers herself a lifelong learner. Albert Einstein said “Intellectual growth should commence at birth and cease only at death.” Carrie continues her education by being actively involved in many aspects of the funeral industry as a member of the University of MN Mortuary Science Alumni Board, member of the University of MN Mortuary Science Advisory Board, member of MN Department of Health AD HOC Committee for the Mortuary Science Divison, and a participant in the Minnesota Funeral Director Association (MFDA) Leadership Academy. 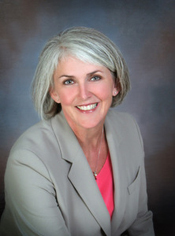 As a Funeral Director, Pre-Arrangement Specialist , Certified Funeral Service Practioner (CFSP), Certified Crematory Operator (CCO) and Funeral Celebrant, Carrie finds each day rewarding by being able to assist families in so many meaningful ways. A key to her success is her ability to educate people about the choices they have in planning funerals which allows them to make smart informed decisions. Building relationships by being a community resource is an important aspect. Carrie is a member of the Winona Rotary Club and Women in Business. Claire M. Abbott was born and raised in Wabasha and is a graduate of St. Felix High School. She later graduated from Metropolitan State University with a BA degree in sociology and juvenile justice. She is the chairman of her women’s unit at church and is active in the Wabasha chapter of the Isaac Walton League of America. 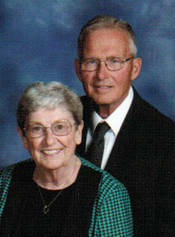 She works as a homemaker, a gardener for several homes and helps her husband, Jim, with the funeral services. She enjoys travelling, gardening, riding her bike and spending time outdoors and spending time with her family. 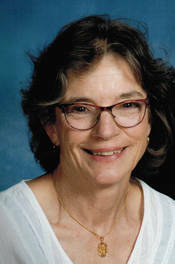 She and Jim have three children, Riley, Hallie (Dan) Patterson, and Jillian and three grandchildren, Henry and Ivy Patterson and Magnus Jevne. Edward D. Ostrom was born and raised in Wabasha and is a graduate of Wabasha High School. He was a career member of the U. S. Air Force. Upon his retirement, he returned to Wabasha and worked for several years as a salesman for the Sugar Loaf Ford dealership in Winona, Minnesota. After retiring in 2003, he began working for Abbott Funeral Home as a funeral assistant. 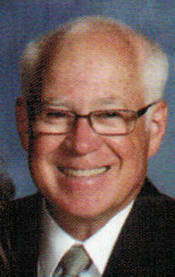 Ed is an active volunteer at St. Elizabeth’s Medical Center and a member of the St. Felix Cemetery Board. He is also active at his church as an usher. Ed enjoys fishing and working in his yard. He and his wife, Lana, have three children, John, Kevin and Wendy and seven grandchildren. James D. Abbott was born in Green Isle, Minnesota and raised in St. Paul. He graduated from St. Thomas Academy High School there and then served his country in the U. S. Navy during World War II. Upon discharge he returned home and graduated from the College of St. Thomas. He then attended the University of Minnesota and received his mortuary science degree. He worked for O’Halloran & Murphy Funeral Home in downtown St. Paul, involved in all aspects of the business. Having a desire to own his own business, he and his wife, the former Anne T. Flahavan of Minneapolis, purchased the Wise Furniture and Funeral Home in Wabasha in 1960, renaming the business Abbott-Wise Furniture and Funeral Home. He owned the two businesses until selling it to his son, Jim, in 1989. Jake had been very active in his community. He was active in his church and was a long time member of the St. Felix Cemetery Board. He had served on the St. Elizabeth Hospital Board for over 30 years and served both veterans posts in Wabasha as commander as well as holding other positions. He served the City of Wabasha on its Park Board for many years. 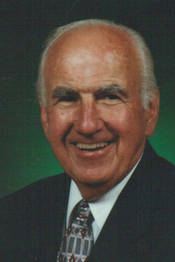 He served on the Coffee Mill Golf and Country Club board for many years as well. He received the Bishop’s Medal from Bishop Bernard Harrington of the Diocese of Winona on April 7, 2005 in honor of all his work and dedication. His dear wife, Anne, died of cancer at the age of 45, leaving him to raise his family alone, which he did admirably well. He had five sons, two daughters, thirteen grandchildren, and ten great-grandchildren. Jake enjoyed golfing, his lawn and garden, and organizing the annual Wabasha St. Patrick’s Day Parade. Jake died February 22, 2013 at the age of 87 years.